This is a sponsored conversation written by me on behalf of NESTLÉ® SPLASH. The opinions and text are all mine. 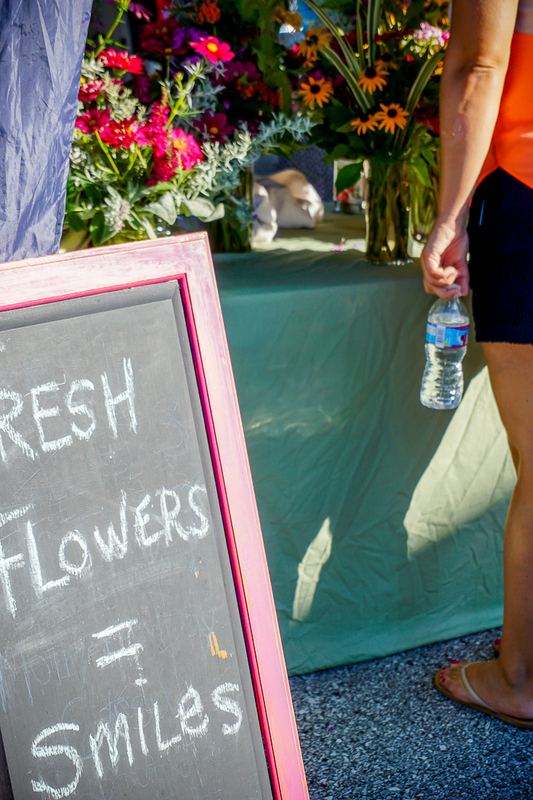 Make Shopping at Farmers Markets More Enjoyable with these Easy Tips! 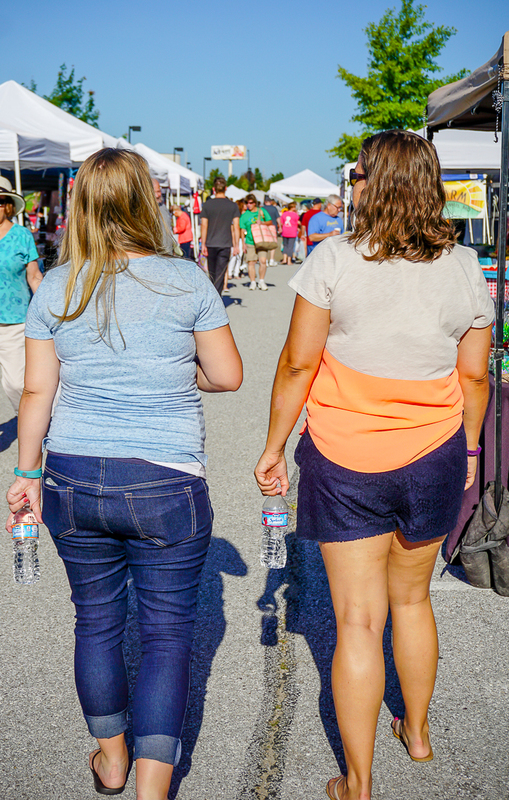 Shopping at Farmers Markets on a gorgeous summer morning is one of my favorite things to do! It is a great excuse to get outside in the morning and get some walking in right away, I find great produce at good prices while enjoying the great outdoors, I often get to try something new, and there are usually some tasty treats to enjoy along the way, too. I love it even more if the market also allows artisan booths for crafts and other homemade items because I usually find some great gifts to put aside. 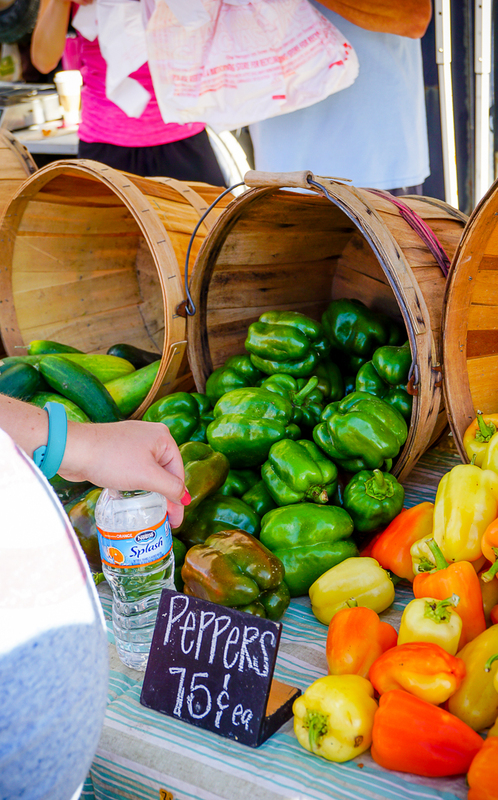 I am always a little surprised by those who haven’t ever walked the rows of a Farmers Market before, and I remember feeling a bit intimated the first time I went, so I thought it might be helpful to share some Tips to Make Shopping at Farmers Markets Enjoyable! 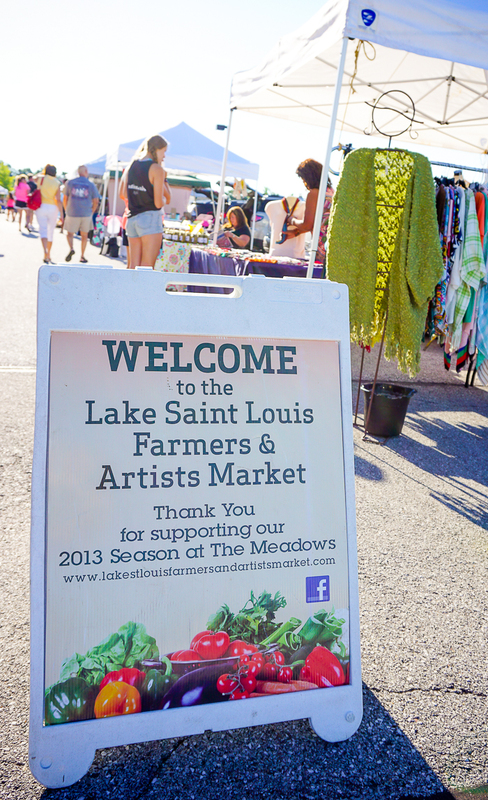 Funny story – This trip to the Farmers Market was taken at the end of July while my family was down in St. Louis for my baby shower. My one sister and I thought it would be fun to check out the market before the craziness of the day and my niece decided to tag along. I didn’t realize until looking at the photos that their sign has the wrong year on it. We definitely were there July 2016 NOT July 2013. HAHA! 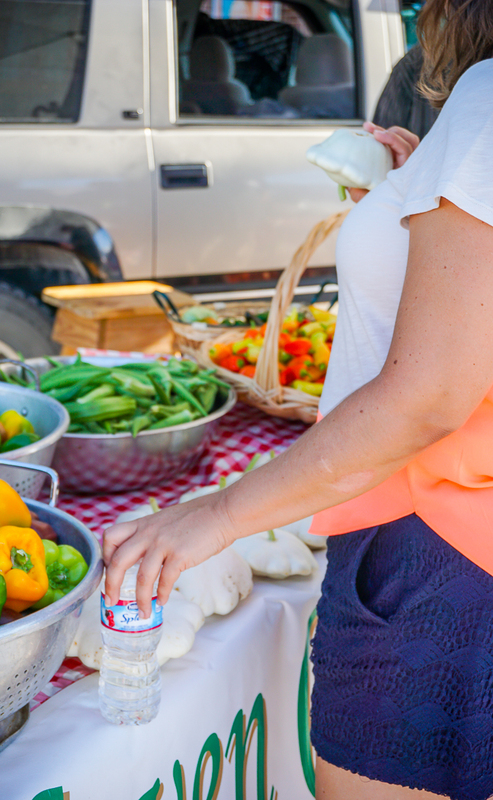 As a rule of thumb, most farmers are not there to haggle prices. Therefore, I like to walk through the market looking at options and prices before I start buying. This allows me to look for the best deal and see what all my choices are. Even if I have an idea of what I am there to buy, I often find something new or different to purchase instead or in addition to the original plan. 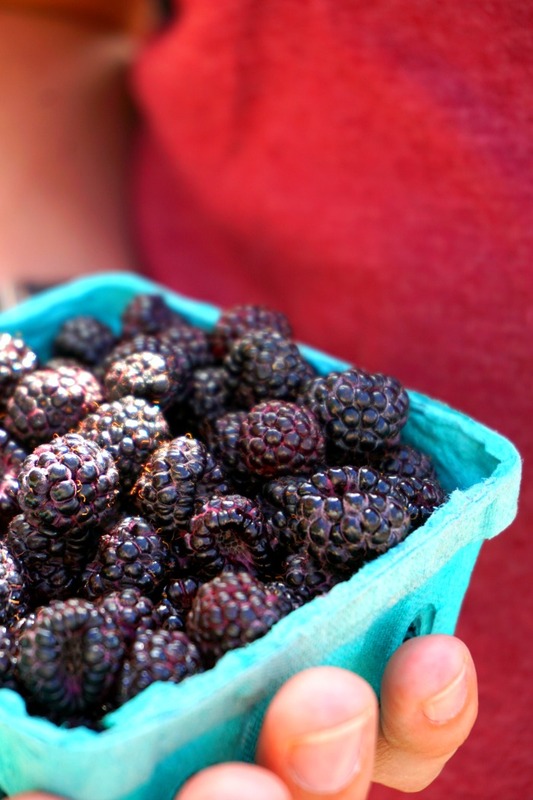 For example, I was super excited when I found Black Raspberries for the first time ever! I know, some of you might think it’s crazy I had never seen them in real life, but I hadn’t. I decided to give them a try instead of buying blueberries that were on my list. If you are coming to the market for a particular item, you should arrive as early as possible. It has been known for fresh in season strawberries to sell out within the first hour. If not, early or late is still a good general rule of thumb in my book because the middle hours always seem to be the peak hours where things get a bit more crowded. While I stand by my statement that the farmers generally do not encourage haggling, going later might let you find some deals, especially if the farmers don’t have a different selling location and want to move more of their produce before the end of the day. I have been to markets that don’t offer any bags at all and some that offer thin plastic bags. If you are getting a lot or anything hefty, the thin bags simply don’t hold up very long. 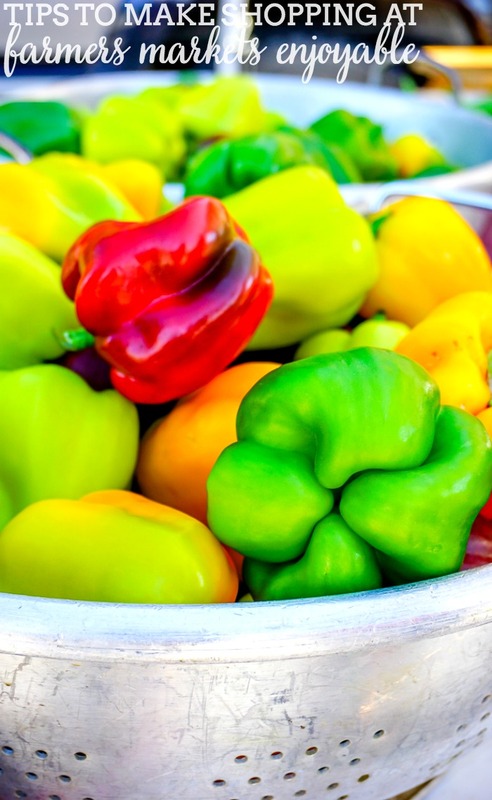 The best way to ruin your trip to the market is by having all your produce fall out onto the pavement or to just struggle with it the entire time. Bring a tote, backpack or even a little cart with wheels that you can fill up with all your goodies! 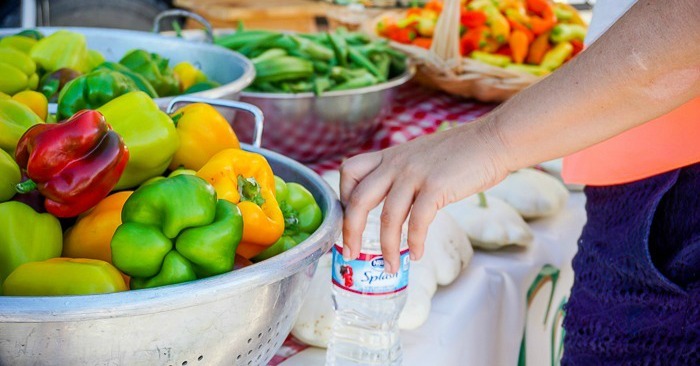 Most vendors will be able to make change and many even have credit card swipers, but smaller billed cash (and even some change) is still the best choice for a Farmers Market. Transactions go much smoother when you have the exact amount, especially when it’s crowded and the vendor might have multiple people vying for their attention. I cannot make this recommendation enough. Don’t know what something is? Ask. Curious how you should cook something? Ask. Want a recipe idea of how they might serve something? Ask! They have a wealth of knowlege and generally love to share it. This tip definitely goes alogn with #2 though. They will have more time to talk to you when there are less people in line. While I will go by myself for a quiet morning stroll, I much prefer going with Bryan, friends or family! Having people with you makes it a fun summer outing instead of just errands. Plus, the markets by us usually have musicians playing, tasty baked goods and even a bucket of donuts to share, and artisan booths for non-food shopping. It’s a mini-summer festival every week and it’s a blast! Bonus of going with friends or family? It makes buying in bulk easier. You can often find better deals if you have the ability to buy in larger quantities. I don’t usually have enough freezer space to freeze extra and I’m not a canner personally, but I can easily share a larger batch of peppers with my sisters. I normally treat myself to a delicious baked good for breakfast at the market, but I never go on a completely empty stomach. 1 – it would make me hangry. 2- I wouldn’t be able to follow tip #2 and browse the selection first. 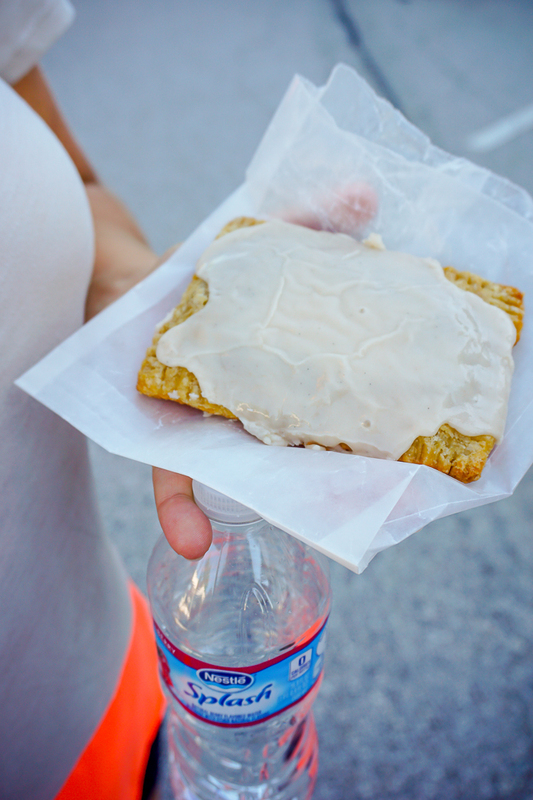 On this outing, we went with a homemade apple pop tart which was really different than traditional apple baked goods we normally find. We think it had a touch of lemon to it. 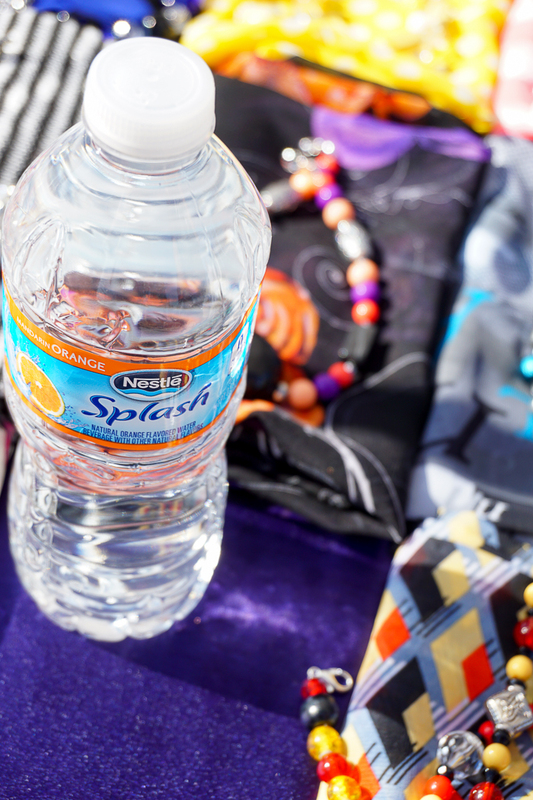 I also never show up without a bottle or two of NESTLÉ® SPLASH with me to stay hydrated! NESTLÉ® SPLASH gives you natural fruit flavor to enjoy, which satisfies my desire for something fun and a little sweet, with ZERO calories and ZERO sugar. It doesn’t get much better than that! NESTLÉ® SPLASH has five fun flavors to choose from for your own summer fun! There is Wild Berry, Lemon, Strawberry Melon, Acai Grape, and Mandarin Orange. Wild Berry and Strawberry Melon are definitely my favorite to keep on hand this summer, while Bryan loves the lemon. They are refreshing water perfect for staying hydrated on these warm summer days while also feeling like a treat (for zero calories!). Check here to find a store near you with availability or you can visit here for extra convenience and order online. Plus, make sure you follow along with NESTLÉ® SPLASH on Facebook! 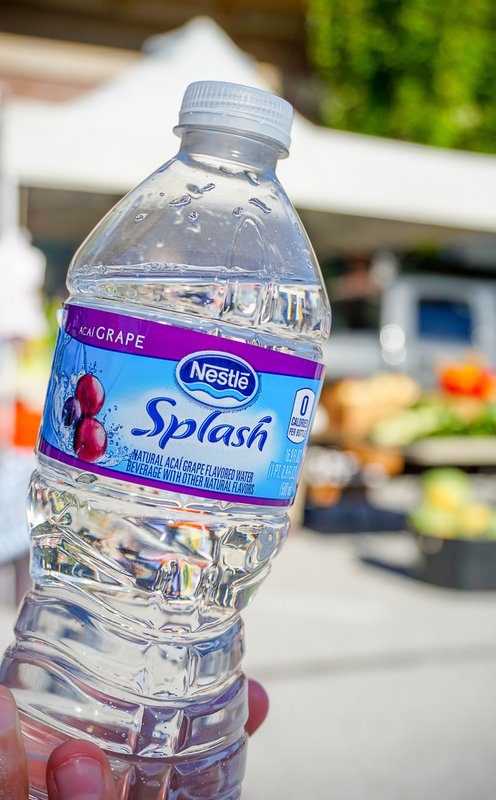 I think NESTLÉ® SPLASH would definitely agree with making a visit to the Farmers Market a fun outing! 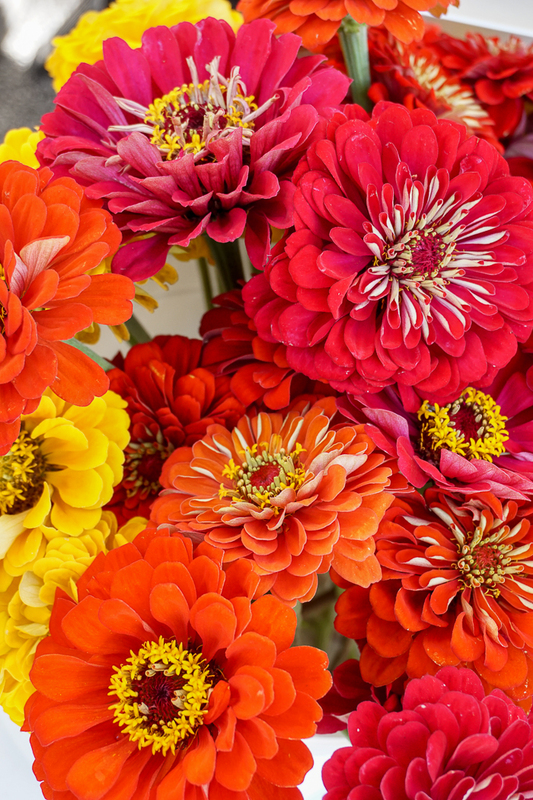 They believe hydration and summer should be fun, flavorful, and a bit surprising, so they are encouraging all of us to get out and enjoy summer. In that light, I would love to hear about what makes your hometown so special in the summer! What are you doing to add a little#NestleSplashofFun to your normal routine? !